Rental Program | AC Waste Services Inc.
Let AC Waste Services take the Responsibility! Start Renting Today! Financing is available for all of AC Waste Services’ products including installation, delivery and any necessary site construction needs. 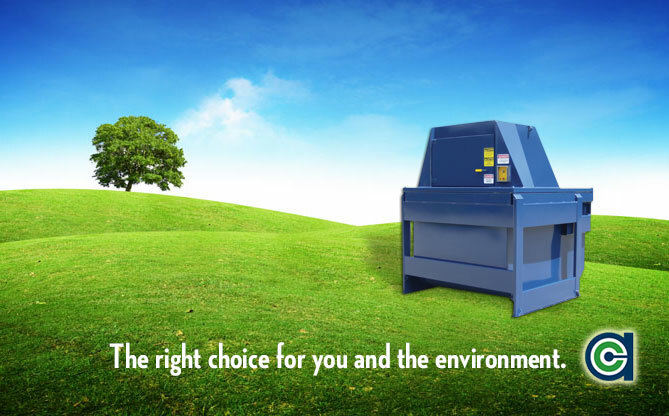 AC Waste Services offers a full line of compactors and balers, each available for rent. Our rental equipment is built with performance and durability in mind. Rentals are available in a variety of terms ranging from 36 to 60 months. Let an AC Waste Services representative tailor a program to best fit your needs. AC Waste Services offers a full line of equipment accessories designed to reduce costs and improve aesthetics, handling and product security. Should any site modification, such as concrete pads or wall openings, be required to facilitate the installation, we include these as part of the rental package – now that’s one-stop shopping! Because AC Waste Services continues to own all of our rental fleet, we can exchange equipment as a result of building renovations, moved business, recycling initiatives, expansions or changes in waste streams. As an option to the standard rental program, AC Waste Services offers care-free rentals. This popular package encompasses all preventative maintenance and repair services.